It is not uncommon to encounter problems with your blog or podcast feeds and it is important to know how to resolve these issues. The best way to diagnose your feed is by using CastFeedValidator.com. CastFeedValidator.com will determine if your feed is valid or has errors. Feeds can become very large in size over time. When a feed approaches 512K (1/2 megabyte) in size some websites and applications begin to have problems processing them. 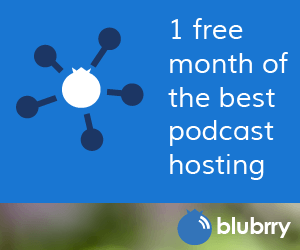 Podcast directories will begin to update your listings less frequently due to the excessive size. For example, the popular feed hosting service FeedBurner will not accept feeds that exceed 512K in size. The best way to resolve this issue is to limit the number of items in your feed. This limit may vary depending on the amount of blog post / episode show notes that you enter per episode. Many podcasters set this limit somewhere between 20-50 items/posts per feed. For those using the PowerPress Plugin you can reduce the size of your feed by using the Feed Episode Maximizer feature in the podcast channel section. Many podcast directories, and podcatchers such as iTunes, will display timeout errors when the podcast feed they are trying to update takes too long to download. Many factors could contribute to slow downloading feeds, but in almost all cases, the problem lies with the Web server not being capable of delivering the feed in a timely manner. This is most common with websites that use programming language such as PHP or ASP to generate the feed. If you are using WordPress, the easiest way to solve this problem is to use a plugin such as Static Feed. The Static Feed plugin will serve static versions of your feeds, which will remove the need for WordPress to load every time your feed is requested from podcatchers and podcast directories. This is a specific problem with iTunes when submitting a feed that is hosted on a web server that is not truly HTTP/1.1 compliant. iTunes requires byte serving be enabled (a feature of HTTP/1.1) on the server so it can pull feeds, images, and media files efficiently. In addition, all HTTP/1.1 request methods must be supported, specifically GET and HEAD requests. Please contact your web hosting provider for assistance. You may also hire Blubrry to work on your behalf to diagnose and resolve the problem.